Ford recently recalled around 2 million F-150 pickup trucks across North America due to a seat belt issue, where the belts spark and ignite fires. According to Ford, there are 23 reports of smoke or fires in trucks within the U.S. and Canada, but it is not aware of any injuries that may have occurred. 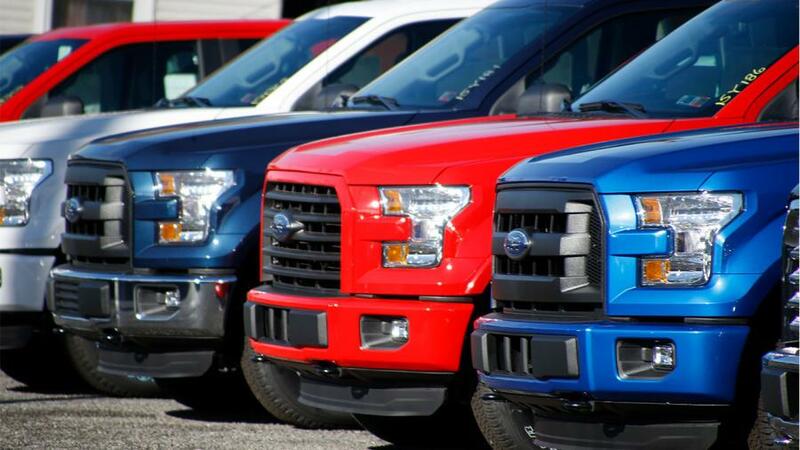 2015-2018 F-150s from the Kansas City Assembly Plant between Aug. 20, 2014 and Aug. 23, 2018. Ford said that the fires occurred when the seat belt pretensioners sparked as the belts tightened before a crash. This, in turn, ignites gases within the support pillar that sites between the front and back seats, causing the insulation and carpeting to burn, the Chicago Tribune reported. ZF-TRW and Takata, which was bought by Joyson, manufactured the pretensioners. One truck owner from Grand Rapids, Mich., filed a complaint with the government, and told the NHTSA that a deer ran into the driver's side of his truck, which caused minor damage to the vehicle. However, the impact caused the side airbags to inflate and about five or 10 minutes later, a passenger saw a fire on the bottom of the post between the front and back seat, the Chicago Tribune reported. “The truck went up in complete flames in a matter of minutes and is a complete loss,” said the owner. In 2017, the company said it received four reports that detailed interior truck fires that occurred after crashes. However, Ford was unable to pinpoint the issue while conducting its own investigation; it didn't pick up on any problems with the pretensioners and couldn't recreate the fires, the Chicago Tribune reported. As more incident reports came in Ford found the sparks from the pretensioners, and started looking into the exhaust gases from the seat belts. Finally, the company and NHTSA joined together to inspect a truck in June 2018. According to Ford, the fix includes removing insulation from the B-pillar trim, as well as parts of wiring harness tape. The company will then replace the tape with a heat-resistant counterpart on both the carpets and insulation. In addition, Ford will modify the rear cabin panels on its Regular Cab trucks. The company will not charge customers for the repairs.